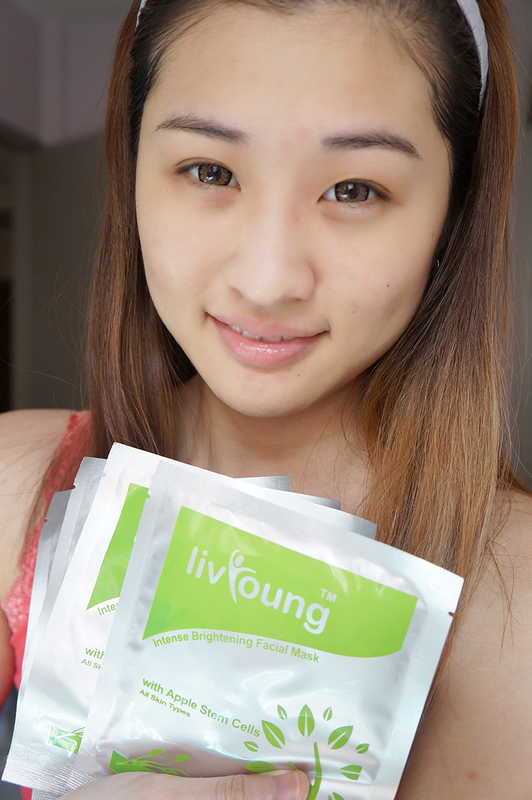 Long story short, I've received a box of LivYoung Intense Brightening Facial Mask from HiShop for review purposes. It's been two weeks now and I feel this is the right time for me to review the masks. 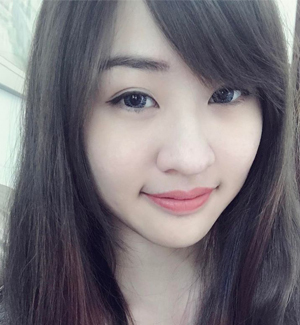 So if you haven't heard of LivYoung before, let me give you a brief introduction on this company. Liv Young is a company that promotes wellness though healthy food and skin care products. It aims to produce high quality and effective products for the customers at an affordable price. Offers superb moisture to skin to give a lustre you have never known before. Brightens your skin and reduce pigmentation. Protect longevity of skin stem cells. Decrease in wrinkles and promote anti-aging of skin. 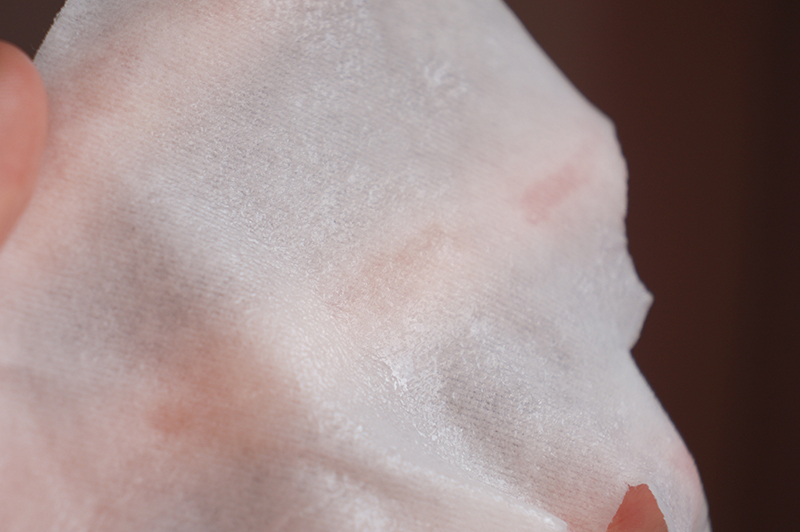 Let's talk about the sheet mask fabrics. I'm still not very good in knowing whether it is a fabric or pulp because both looks the same for me LOL. It just feels like a piece of cloth that can fit on my face without dropping when I'm moving around. 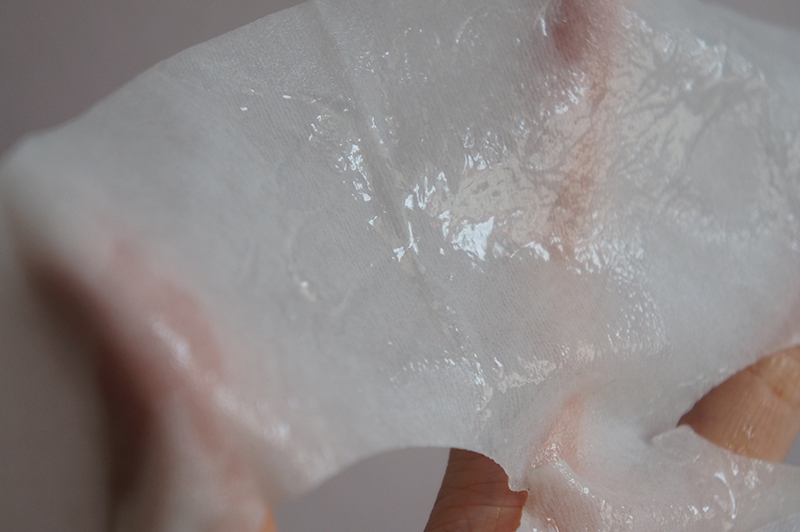 I am quite surprise with that and talk about the essence found on the mask, it is in jelly form and I find that it is quite sticky too. This is a closer look on the fabric after I've used the mask. You can still see some leftover essence on the mask, and I am unsure if my skin is suppose to absorb all of the essence. The leftover essence on my face definitely more than enough for a massage on the whole face and neck. Tada! This is how the mask looks like on the face. Surprisingly it stayed on my face well without any adjustment. 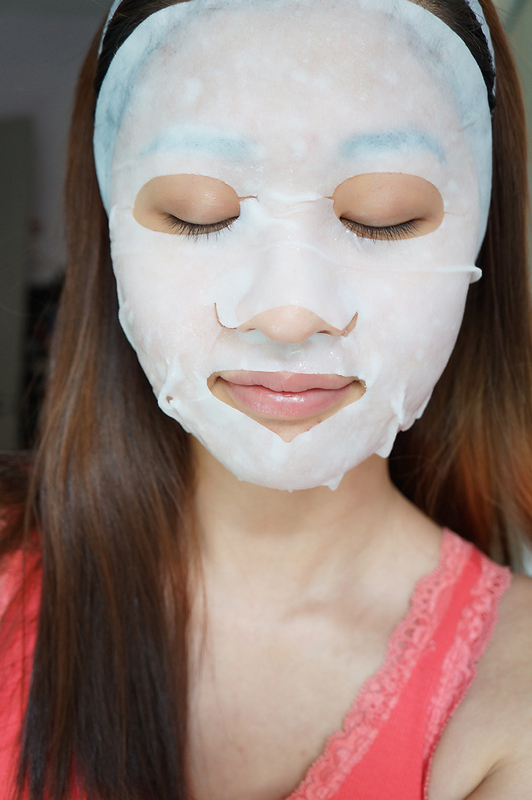 I do think the stickiness of the essence helps the mask to stay on the face so well LOL. Either way, I love to use sheet masks that stay on the face firmly. Here is an before and after of the applying the mask. 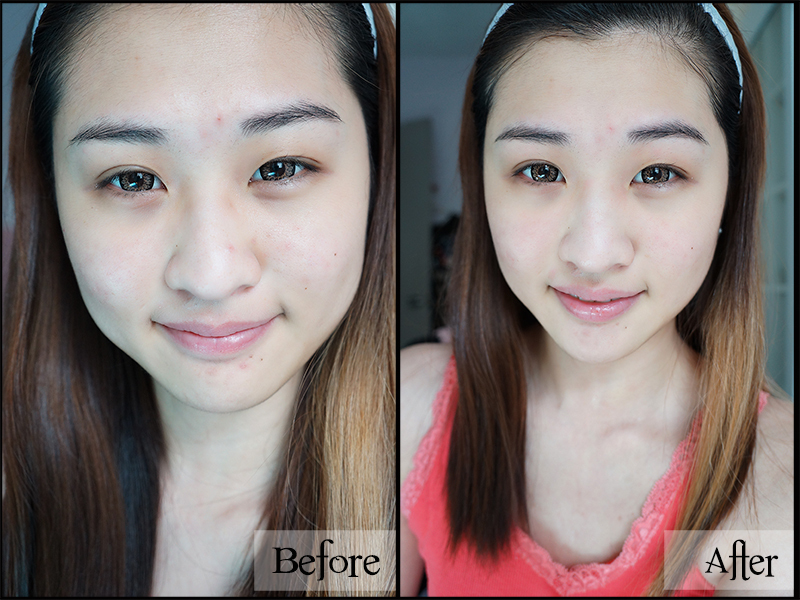 There wasn't any huge difference except that the skin looks brighter and smoother. I would the after effects are pretty common for sheet masks. Well, I do feel my skin is hydrated after using the mask and from the device showed below, the water level in my skin boosted a lot, along with a decreased percentage of oil level in my skin. 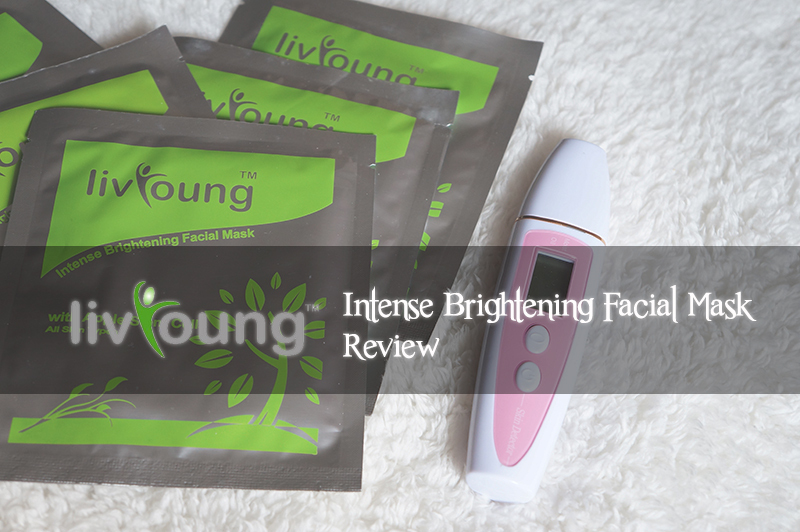 Using sheet masks will have instant results, so I did not expect much on the performance. I do like how the mask stays on the face throughout the waiting period, but I do not like the stickiness of the essence on the skin. I do like the scent but I felt that the leftover essence was way too much for me to massage it to the skin. The excess can be good for other body area but it gives me an impression that my skin is not absorbing the essence well. It is quite expensive for 10 pieces of sheet masks because I can get other types of masks with cheaper price. Will I repurchase it? Nope, I would prefer to spend the money on something more effective to my skin.